E-GOVERNANCE SPATIAL PLANNING DECISION-MAKING & ECTP-CEU YOUNG PLANNERS WORKSHOP 2015 11TH BIENNIAL OF EUROPEAN TOWNS & TOWN PLANNERS DUBLÍN. 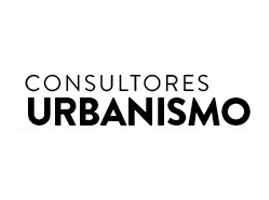 | Consultores en urbanismo. CONSULTORÍA JURÍDICA Y TÉCNICA, URBANISMO Y MEDIO AMBIENTE. E-GOVERNANCE SPATIAL PLANNING DECISION-MAKING & ECTP-CEU YOUNG PLANNERS WORKSHOP 2015 11TH BIENNIAL OF EUROPEAN TOWNS & TOWN PLANNERS DUBLÍN. E-GOVERNANCE SPATIAL PLANNING DECISION-MAKING & ECTP-CEU YOUNG PLANNERS WORKSHOP 2015. 11TH BIENNIAL OF EUROPEAN TOWNS & TOWN PLANNERS DUBLÍN. This publication contains the findings of the workshop carried out between April and October 2015 on the topic “E-Governance, Spatial Planning and Decision-Making”, whose results were presented in Dublin (Ireland) on October 15th-16th 2015 within the framework of the XI Biennial of European Towns and Town Planners “Making Cities Work; Technology in Planning Practice”. An expansion of the concept of e-planning on planners, policy makers, advisors and consultants is foreseeable in the 21st century. This will entail the application of geospatial technologies by planners for the benefit of shaping local planning and by citizens for finding new ways of participating, especially young people, in planning decision-making processes by ICT, all of which is explained in detail below.